Can you change the way our customers use energy today? 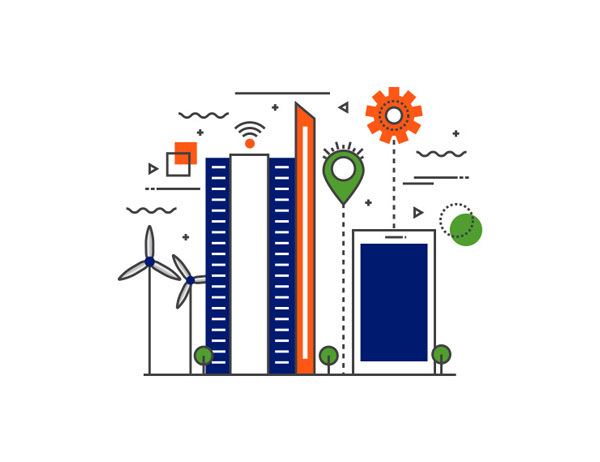 Our Innovation Challenge gives start-up companies a chance to work with EDF Energy to find and develop the best new innovations for customers. We’ve selected the ideas we think could make the greatest difference to our customers and have invited the start-ups behind them to join us as part of a 12-week acceleration programme. At the end of the programme all of the short-listed innovations have the opportunity for future commercial relationships, joint working, or investment, while one finalist will be selected for a cash prize. Lancey has designed and manufactured a smart electric heating system, which includes a connected battery and energy management system. How Do I? has developed an app which allows branded tags on everyday objects to instantly launch instructional videos to making living and working spaces more accessible to all. SMAP Energy provides a software as a service solution for energy companies who have smart-meter data access and want to understand the insights within it. Grid Edge has developed a cloud-based Artificial Intelligence software that works with commercial building energy management systems to predict, optimise and control complex energy systems. Five great companies received industry expert mentoring, access to data and customers to accelerate their products on our 10-week accelerator programme. Don’t just take our word for it, check out for yourself and watch the highlights! The essence of this programme is to bring our knowledge and expertise to work with the very best start-up ideas available. We need fresh ideas and innovations to help us make a difference to consumers and our challenge provides a unique opportunity to innovate and disrupt the sector for the benefit of our customers. In collaboration with Amazon, our start-up finalists on the 12-week accelerator programme can access Amazon Web Services Activate program. Amazon Web Services provides start-ups with the low cost, easy to use infrastructure needed to scale and grow. The AWS Activate program provides start-ups with the resources needed to quickly get started on AWS – including credits, training, and support. In addition, our start-up finalists will have access to mentoring from AWS experts during the 12-week accelerator programme. Please note, startups that have had access to AWS Activate programme previously may not be eligible. L Marks is a corporate innovation specialist and early stage investor. They build bridges between large corporates seeking to innovate more quickly with young companies with disruptive technologies, products and services. Founded in 2012 by serial entrepreneur Stuart Marks, they run bespoke startup partnership programmes across industry sectors, supporting rapid innovation and connecting them with the best startups. They work with their clients to identify where they believe the challenges are in their businesses and then turn these into opportunities for improvement and innovation. Each programme is tailored to deliver real solutions to the corporate partners as well as creating real opportunities for startups to test and grow their product with a major partner.